The total fundraising goal for the Playscape at Ripley is $340,000, comprising $70,000 in project costs for Phase One and $270,000 for Phase Two. 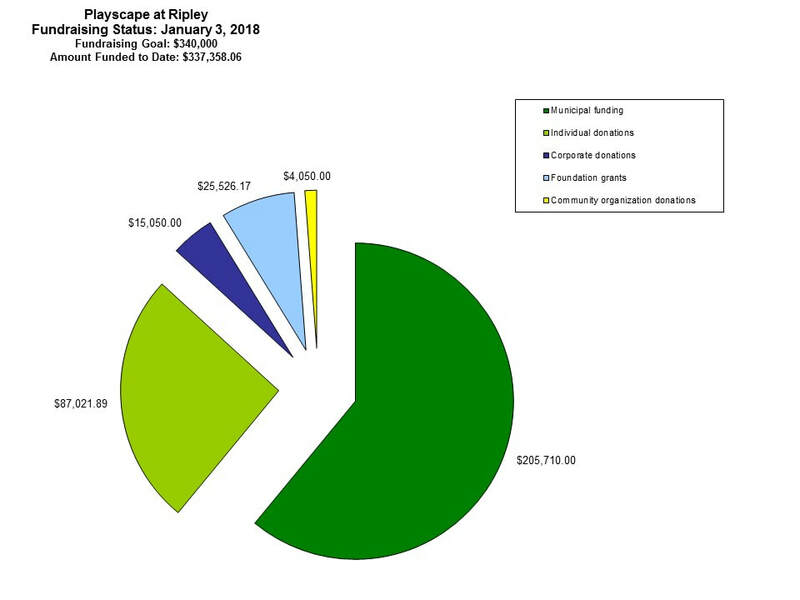 As of January 2018, the Friends of the Playscape at Ripley have received over $337,000 in pledges and in-kind donations to the project - less than $3,000 to go to reach our $340,000 goal!!! Thank you to everyone for your support, including the Town of Concord, which has generously supported the project through the Community Preservation Act, and the Northwest Suburban Health Alliance/CHNA15, which have contributed DoN funds from Lahey Hospital and Medical Center and Winchester Hospital.